This article is reprinted with written permission from the author. As tens of thousands of visitors each day walk across a new flooring installation in UW-Madison’s Union South in fall 2017, they might not realize they’re participating in what could very well represent a leap into the future of renewable energy production. A research team led by Xudong Wang, a University of Wisconsin-Madison professor of materials science and engineering, in collaboration with the UW-Madison Grainger Institute for Engineering, has installed a high-tech flooring prototype that harvests the energy of footsteps and converts it into electricity. 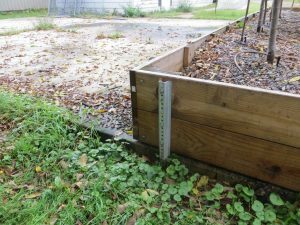 Are gravel beds right for your community? Wisconsin DNR is collaborating with the USDA Forest Service to pilot an urban form of the National Woodland Owner Survey (NWOS), to better understand the people who own and manage our urban forests. The survey is paired with the Forest Inventory and Analysis (FIA) program, in which data is collected on our urban trees and forest.